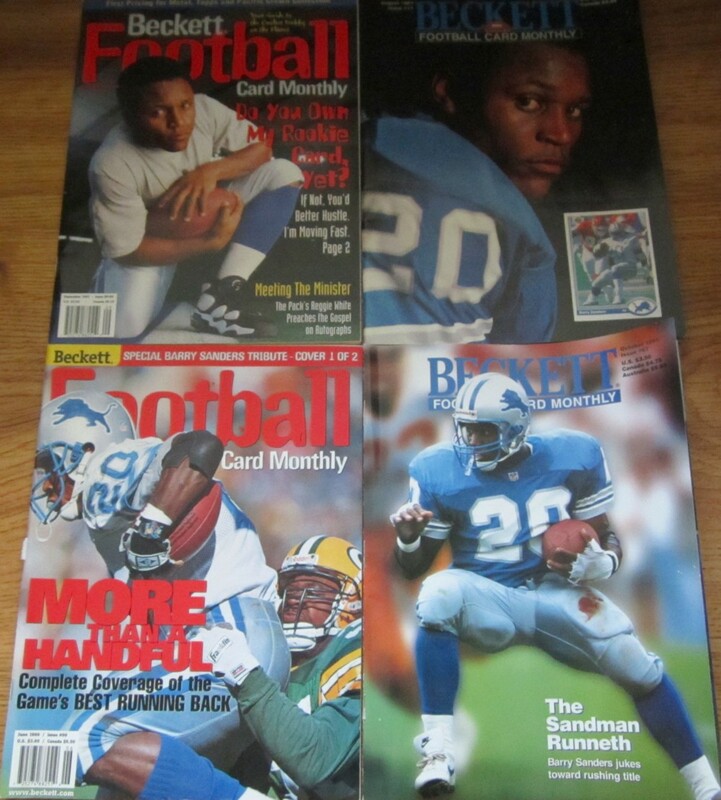 Lot of 4 different 1990s Beckett Football Monthly magazines featuring former Detroit Lions superstar running back Barry Sanders on the cover. 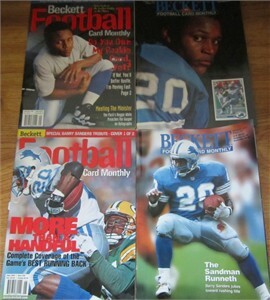 All 4 have minor to moderate flaws and wear. ONLY ONE LOT AVAILABLE FOR SALE.